SanSai Party Trays make entertaining easy! Make your menu magic at any gathering or event, from corporate functions to business luncheons to family festivities and everything in between. To order please call or stop by the SanSai nearest you. 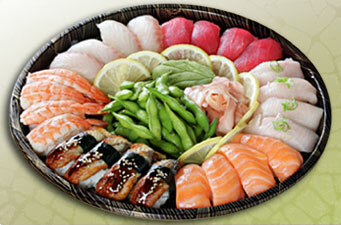 You can either choose from our easy menu or let us help you customize your Party Tray for that extra special touch. We can customize any party or event to your specifications. All orders require a credit card deposit.